Two high-res color screens make it easy to browse and preview sounds, tweak controls, and mix and edit your projects – right from the hardware. 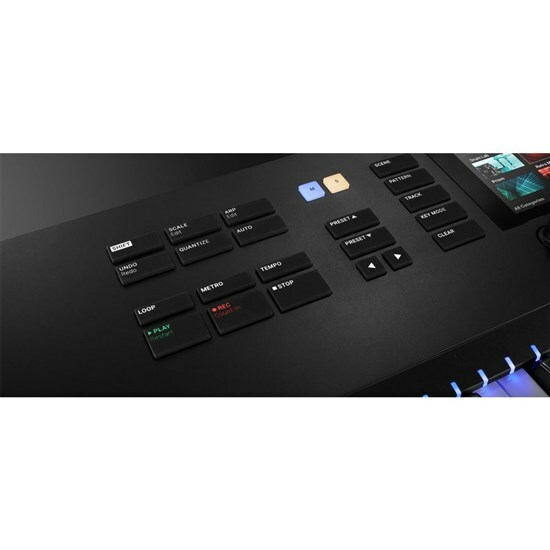 Get hands-on with your production process, thanks to an improved layout with more dedicated function buttons and a new four-directional push encoder. 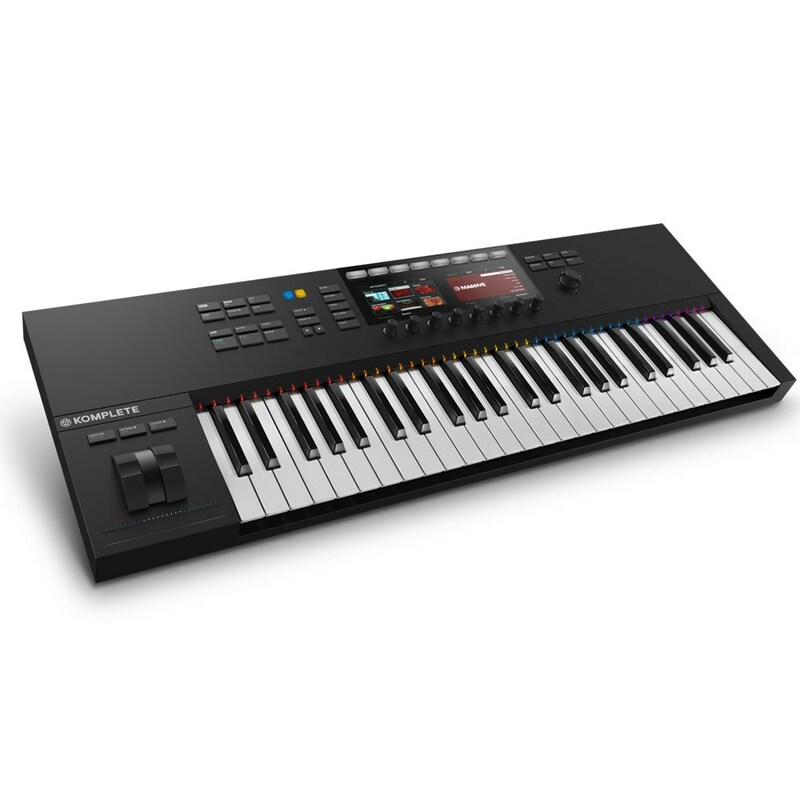 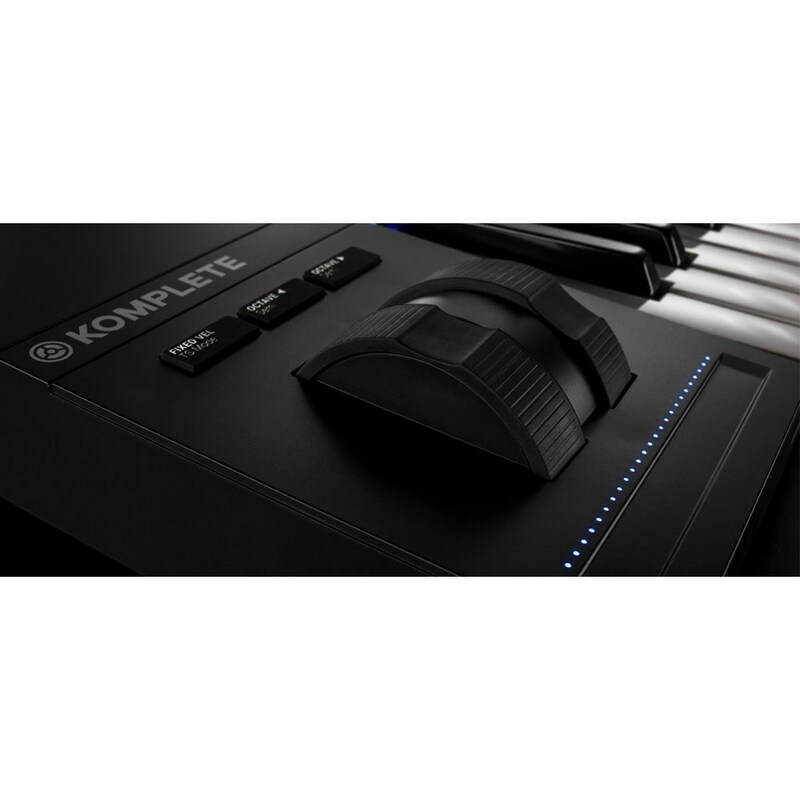 KOMPLETE KONTROL S49 now sports ergonomic pitch and mod wheels, plus a touch strip for expanded creative possibilities. 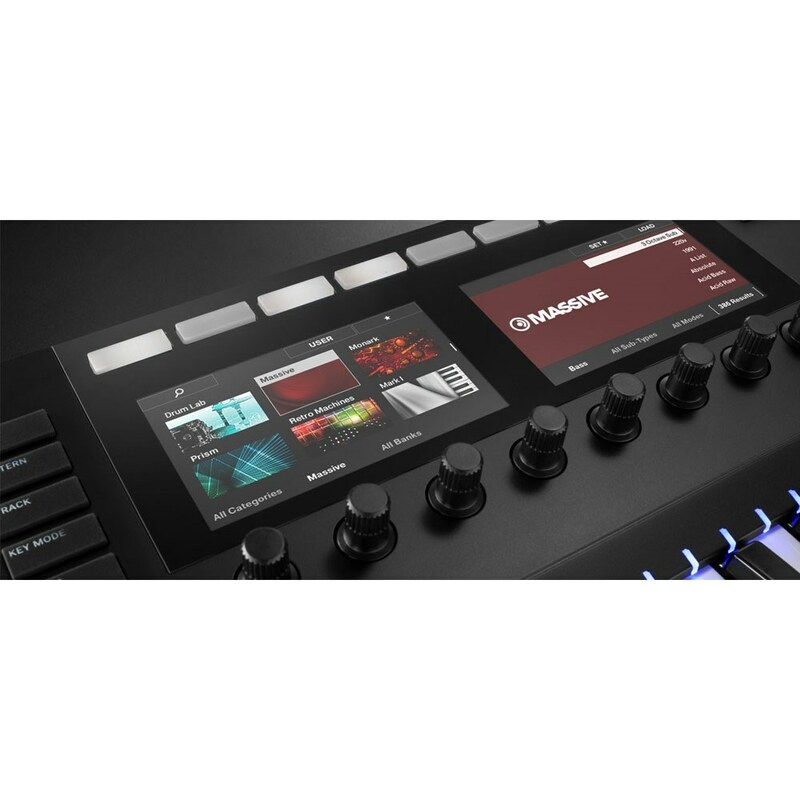 Mix, edit, and more in MASCHINE, Logic, Ableton Live, and GarageBand.